Capt. 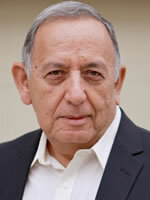 Robert Salas (ret.) served on active duty with the U.S. Air Force for seven years after graduation from the U.S. Air Force Academy in 1964. He served at Tyndall AFB, Florida before his assignment at Malmstrom AFB, Montana in 1966. He earned a Masters degree in Aerospace Engineering from the Air Force Institute of Technology, Wright-Patterson AFB, Ohio. He also worked with the Titan III Missile Systems program office at Los Angeles AFS. After being honorably discharged from the Air Force in 1971, Mr. Salas briefly worked as an engineer for Martin-Marietta Aerospace and Rockwell International. From 1974 until his retirement in 1995, Mr. Salas worked for the Federal Aviation Administration as an aircraft structures engineer. Since 1995, Mr. Salas has spoken publicly about the 1967 UFO/Missile Shutdowns: On the morning of March 16, 1967, while he was stationed at Malstrom AFB, 16 nuclear missiles simultaneously became non-operational at two different launch facilities immediately after guards saw UFOs hovering above. Together with James Klotz, he is co-author of the book Faded Giant. In May 2001, Robert Salas was one of the main witnesses testifying at the National Press Club Disclosure Event, organized by Steven Greer. In September 2010, another press conference was organized at the National Press Club in Washington DC. This time it was organized by Robert Hastings and Robert Salas, and the focus was on the activities of UFOs near nuclear facilities.